When it comes to fitness, there are about as many opinions about the “right” way to do things as there are people who actually work out. Even so, everyone seems to have the same default setting for losing weight: Cardio, and plenty of it. Have you noticed that the first thing most people do when they decide they want to drop a few pounds or generally “tone up,” is ramp up long, boring bouts of cardio? Ironically enough, that’s probably one of the least helpful things they could do. If you’ve been following my fitness tips and articles, you know that I advocate a much different approach: I wholeheartedly believe in weight training for weight loss. Why? 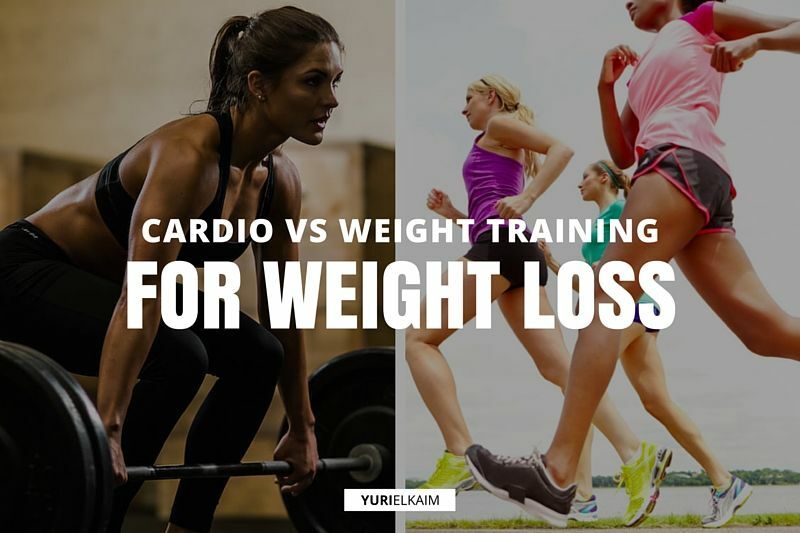 Let’s delve into the “cardio vs weights for weight loss” debate to see why weights win. For starters, we need to be clear about about how your metabolism works and how you actually lose weight. This is a comprehensive topic that can fill entire textbooks. I’m going to boil down the topic to its most basic components and focus on how your workout routine impacts your weight loss. You likely know that as you go through your daily routine, your body burns calories. Even though calories are generally considered evil little monsters that make you fat, a more balanced – and healthy – way to view them is as fuel. And that’s exactly what they are. Calories power everything your body does on a daily basis. You even burn calories as you sleep. Which is pretty cool, when you think about it. But, when you take in more calories than you need, your body stores them away for any future emergencies. And that’s how we gain weight. At its most basic level, then, weight loss is about burning more calories than we take in. Okay, then: what’s the most effective way to do that? Well, there are actually several factors that impact your caloric expenditure – including age, genetics, health conditions, any medications you might be taking, and diet. For the most part, though, the majority of the calories you burn come from just keeping you alive, which is your Basal Metabolic Rate, or BMR. That’s the amount of calories that your body needs to survive even when you’re just sitting around, doing nothing – it’s the measure of how much energy you need to maintain your current health and is influenced by many different factors. One key element of your BMR, however, is your lean body mass (1). Since muscle is more costly to maintain than fat, it burns more calories even when you’re at rest, increasing your BMR. The number of calories you burn while working out is pretty insignificant in comparison, as it depends on your fitness level as well as the style, duration, and intensity of your workout. But in the grand scheme of things, the amount of time you spend exercising likely isn’t a major portion of your day. Why does all this matter? Let me show you. Honestly, cardio does burn a ton of calories. Just how many calories does a cardio workout burn? It depends on exactly what you’re doing and how intensely you’re doing it, but in general, cardio tends to produce some pretty satisfying numbers. Keeping up a 6 mph running pace for 30 minutes, for example, will burn through a respectable 400 calories for a 35-year-old, 175-pound man. Which, on paper, seems pretty fantastic. And this is probably why cardio is the go-to device when people want to lose weight. Here’s the problem, though: That jog did nothing for your BMR. Remember, BMR is very heavily influenced by the amount of lean mass tacked to your frame. Losing fat, then, does not increase your metabolism because it does not increase muscle mass. In fact, long cardio workouts can actually reduce your BMR by releasing the stress hormone called cortisol (4). When this hormone is present for too long in high concentrations, your brain thinks that you’re in danger and starts to take protective measures. One of those steps includes sparing carbohydrates, your main source of fast calories, so that you’ll have plenty for later. Instead, your body seeks out other fuels. Unfortunately, this search ends at your muscles. Cortisol stimulates the breakdown of your muscles for fuel – in addition to the use of any free amino acids that would otherwise be used to build up your muscle fibers. Lots of cardio, then, goes against your weight loss efforts by reducing your BMR. So, what about weight training? How many calories does weight training burn? Not as many as you might expect. That same 35-year-old, 175-pound man would only burn about 240 calories in 30 minutes of vigorous weight training. Looking at those numbers, then, my conviction probably doesn’t make a whole lot of sense. How is weight training better than cardio for weight loss? Remember, your BMR is responsible for the vast majority of your daily caloric expenditure while exercise only takes up a relatively small percentage. In order to make lasting changes in your weight and health, therefore, you need to change your BMR. And lean body mass is a huge factor in determining your BMR. As we discussed earlier, however, cardio decreases lean mass. Meanwhile, weight training increases your lean mass. Even though weight training may burn fewer calories in the short term, it cranks up your metabolism and increases the amount of calories you burn when you aren’t even exercising. If cardio is a poor weight loss tool and weight training is so superior, another question comes up: Which strength-training exercises are best for losing weight? After all, cardio is pretty straightforward: You just jump on the treadmill and go until you can’t anymore. Cardio done. Weight training, though, has different pieces of equipment, different exercises, different training styles, and just generally lot of options. It can get pretty confusing. Here’s the thing to remember: Your body doesn’t care what type of equipment you’re using. Yes, machines and bands and free weights and bodyweight all have their pros and cons but when it comes to losing weight this makes very little difference. All that matters is that you are challenging your muscles and making them grow stronger. That being said, the type of movements you pick does make a huge difference. Generally, exercises are broken down into two categories: Compound and isolation. 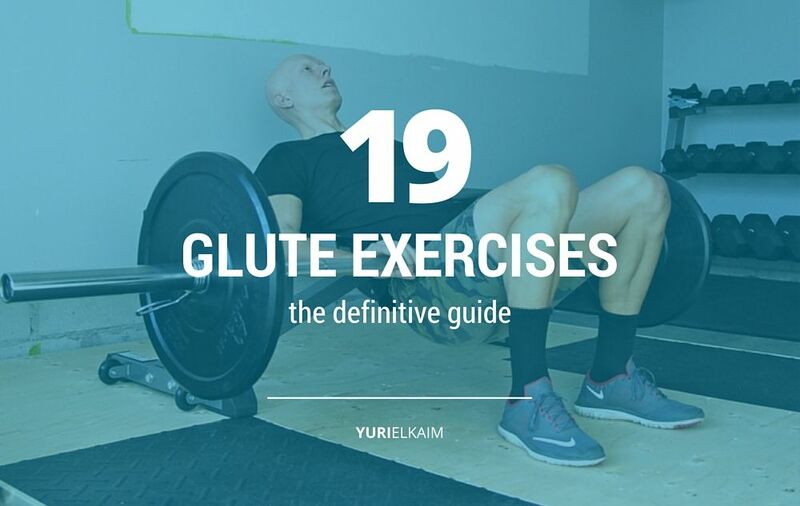 Compound exercises are big movements like squats and deadlifts that require the use of several joints and use lots of muscle groups all at once. Meanwhile, isolation lifts focus on just one muscle at a time. Bicep curls are a prime example of this. For weight loss – and general health – you’ll want to stick with compound lifts. Think about it this way: The amount of calories required to perform an exercise is directly dependent on the size and amount of muscle fibers at work. So, which do you think burns more calories? A squat or a bicep curl? Clearly, the squat – which activates the much larger muscles of your legs, in addition to those in your core – needs a lot more fuel. But, we aren’t just interested in short-term calorie burn. In order to really lose weight and keep it off, we need to build lean muscle that will increase your BMR. Compound movements work on that level as well. Again, developing these larger muscles is going to make them hungrier for your body’s stored fuel in general, even when you aren’t exercising. The next question has to do with frequency, intensity and duration: how often do you need to exercise to lose weight, how long should you workout, and how heavy should you lift? Typically, there is no reason that you should work out any more than 3 days a week on nonconsecutive days, spending about 30 minutes each time. That’s it. During that workout, you want to hit every major muscle group with big, compound exercises. How much should you lift? As I mentioned, you can get a great workout with no weights at all – just using your own body for resistance. The goal is to provide enough of a challenge that your muscles get the signal that they need to grow and improve. This means, then, that you need to be lifting heavy. Whatever you’re using for resistance, it should be enough to allow you no more than 10 reps for each set. If you’re using your body weight or just have a limited number of weights to work with, you may have to pick a more challenging exercise. If weight or fat loss is a goal, try skipping the cardio and heading for the weights room instead, focusing on total-body workouts that get you in and out of the gym fast. Your body will have a better hormonal response – i.e., less cortisol and more muscle building – and you’ll be pleased by what you see in the mirror, too. Looking to lose some body fat? 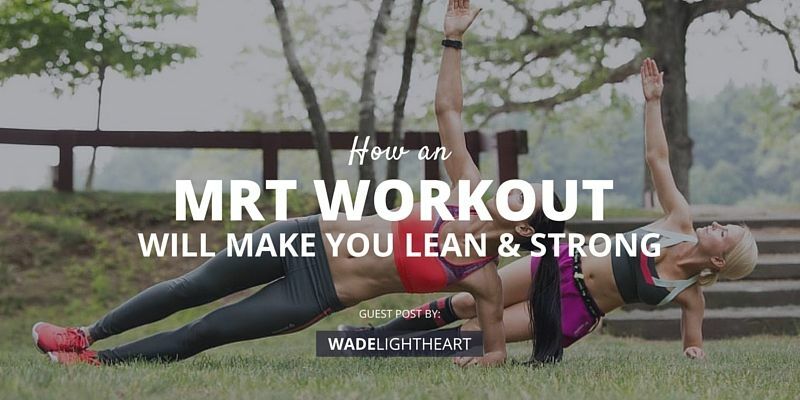 Check out this amazing strength and interval cardio combo workout, which includes an instructional video, workout tracker, and follow-along audio. The Fat Blaster Workout is a $29 value, but you can download it right now – for FREE! Click the banner below for instant access.